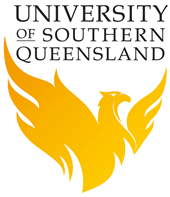 The University of Southern Queensland is the number 1 University in Queensland for graduate employability. A recognized leader in online and blended education, we are renowned for our supportive environment and student-focused commitment to learning and teaching. • Number of Scholarships: Up to five scholarships are available. • Eligible Countries: Scholarships are available for the citizens of Mainland China, Hong Kong, Macau and Taiwan. • English Language Requirements: Applicants must have Fluency in English language.